Artificial turf requires a very minimal level of maintenance. There are some key points to note when installing synthetic turf to keep it looking beautiful throughout the years. Having the turf installed right the first time around makes a difference and hiring the best artificial grass maintenance company in San Diego to maintain your turf is a step in the right direction in order to keep it looking new throughout its lifespan. Similar to natural outdoor spaces, artificial turf tends to become untidy with debris, dust and leaves. Whether it’s synthetic pet turf for a dog run or a turf playground for you children, debris can be common in these areas. This may be more common during the fall and spring seasons. There are several options to get rid of this debris. 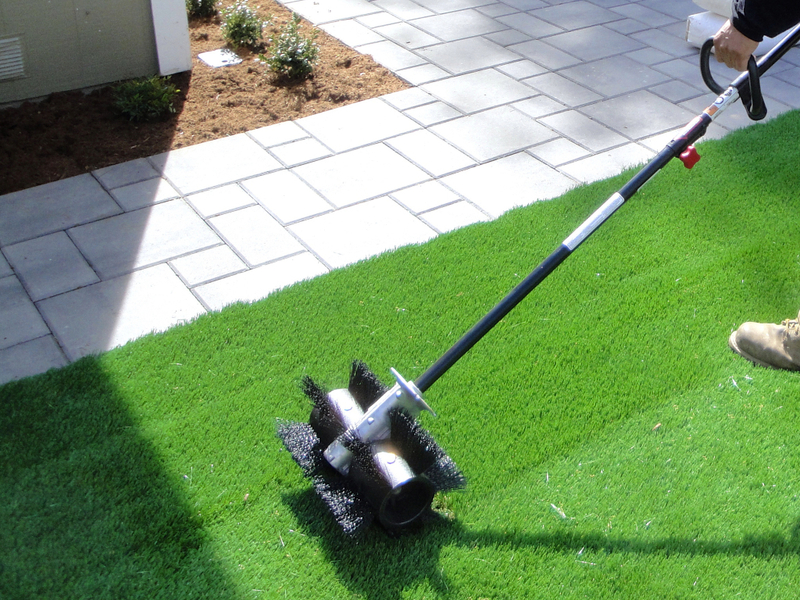 You can use an air-blower, broom or rake to remove the debris on your artificial turf. It is also possible to use a shop vacuum as well. Pets can also get your artificial lawns messy. But no need to worry, our artificial turf is of very high quality and has been developed to be stain and odor resistant. By using a hose, you can quickly wash away pet stains or waste. There is also the tendency that some areas of your turf will become decompressed due to the human weight. To prevent this, use a push broom or rake to brush these areas on your lawn at least every three months to maintain its beautiful look.